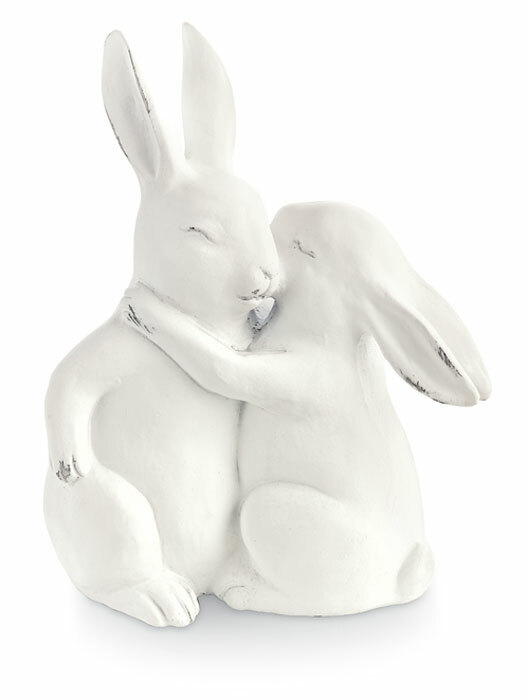 Our bunnies share an affectionate hug. The statue is crafted of resin. Formerly $35, now 40% off. Discount may not be applied to prior purchases.